Behexen, Azaghal and Horna are the bands that embody Finnish black metal more than any other formation from the land of the thousand lakes. This does not mean that each and every of their releases achieves top ratings, but their art is somehow shrouded in mystery, opaque and totally uncompromising. Rituale Satanum does not lack omnipresent darkness and the fact that the man at the bass guitar calls himself "Lunatic" comes as no surprise. Especially the vocals add an element of insanity to the art of Behexen, while the individual songs always reveal a comprehensible scheme without boring the audience with verse-chorus-verse patterns. "Christ Forever Die", for example, shows a clear structure and, by the way, its voluminous guitar work lends the tune a fatalistic touch. The mesmerizing melodies at the end must be mentioned as well. They provide evidence that Behexen are familiar with the sound of hypnotic Burzum songs, but they just take some inspiration from Varg's classics without being copycats in any way. Already the debut sends clear signals; the potential of the dudes who carry the torch of the devil cannot be denied. Just listen to "Towards the Father", another great, more or less insane piece without any major flaws - only the ending comes too abrupt. 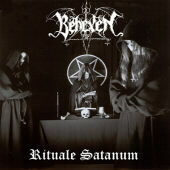 Rituale Satanum features the riffing which has become characteristic for Behexen, this kind of riff that pushes the listener steadily closer and closer to the abyss. It opens the first regular track and generally speaking, the guitar work is really dense, pretty undifferentiated and brutal. Fans of Bathory's "The Return..." will love it - and they will not be the only ones. 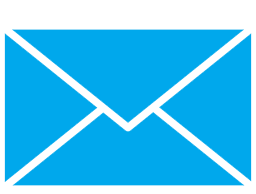 Nevertheless, it also becomes clear that some parts lack coherence and precision. They fail to leave an impact, but fortunately this remains the exception, not the norm. In hindsight, it is not difficult to realize that the song-writing skills of the band members made a quantum leap between the debut and By the Blessing of Satan, even though we are just talking about a small number of ill-defined details on the here presented output. In rare cases, the music conveys a tinge of a ritual (the beginning of "Baphomet's Call", for instance), even though this is no celebration of occult rites. The album originates from Finland, not from Greece... However, Rituale Satanum constitutes a fitting name for this package of Satanic adoration, although the worshippers of the devil fail to deliver the maximum intensity from time to time. "Blessed be the Darkness" scores with the best riff of the album. It seems to herald the triumph of the hellish regime and stands out on a debut which suffers slightly from a more or less impure mix. Especially the fast sections appear clotted and so good songs like "The Flames of the Blasphemer" cannot develop their full potential. But at the end of the day, the demonic nagging of the lead singer, the combination of harshness and atmosphere and the dense overall sound shape an album that fulfils its purpose. It marks the start of a black metal legend of our time and embodies Finnish black metal in a competent way.